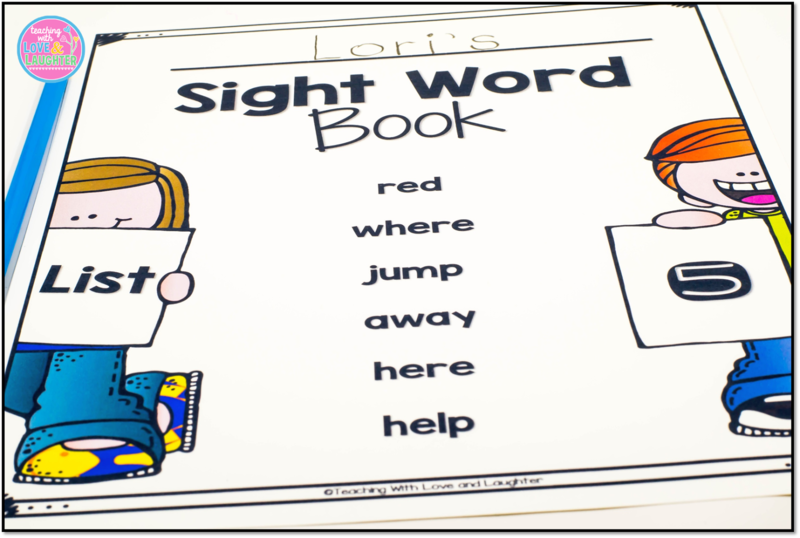 Teaching sight words to young children is so important to help ensure reading and writing success. I created these sight word packets to help you introduce the Fry Words or Dolch Words to your students, and to enable them to practice the words every single day. 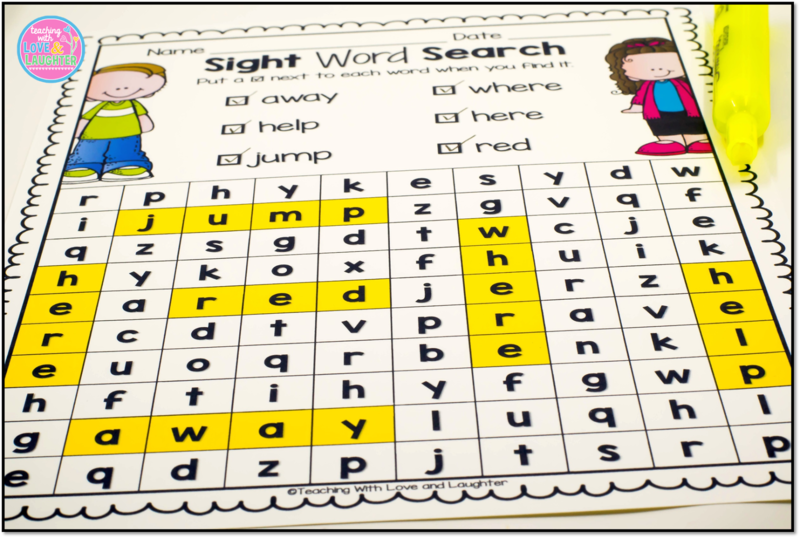 These no-prep sight word activity sheets are easy for you to incorporate into your daily schedule and are fun, challenging, and engaging for children. 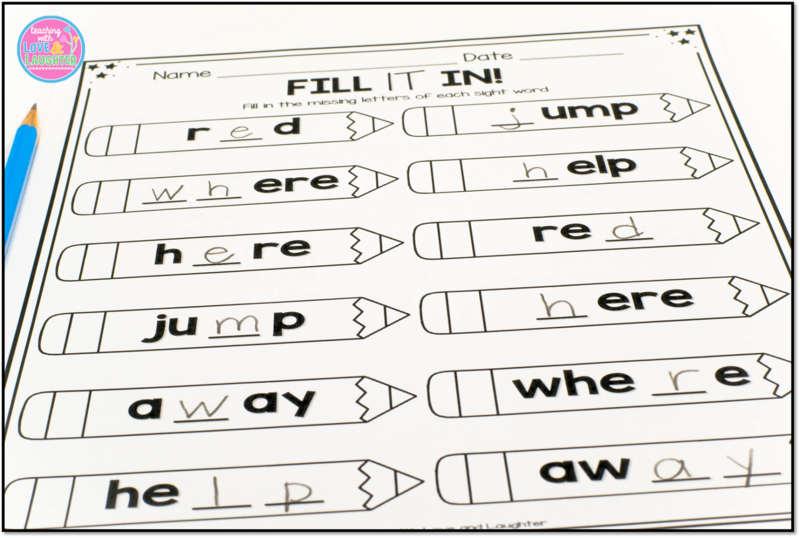 Just print the booklet cover, which is labeled with the words included, and as many of the 12 different activities as you want. Print them double sided and staple, to make a book. 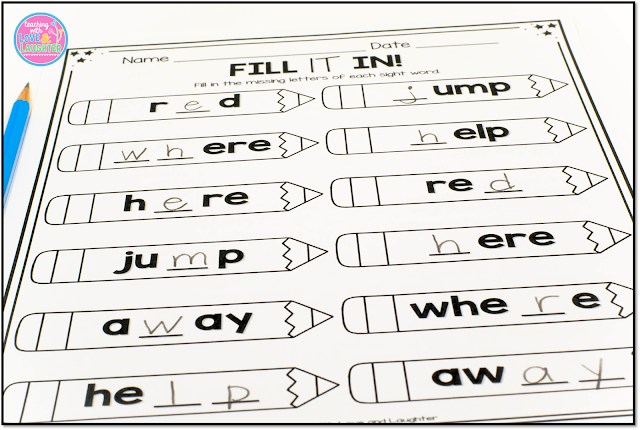 Since the activities vary in difficulty, you can easily differentiate the activities to meet the needs of each student. And, since there are so many different activities for each list, you can vary the activities you assign each week. 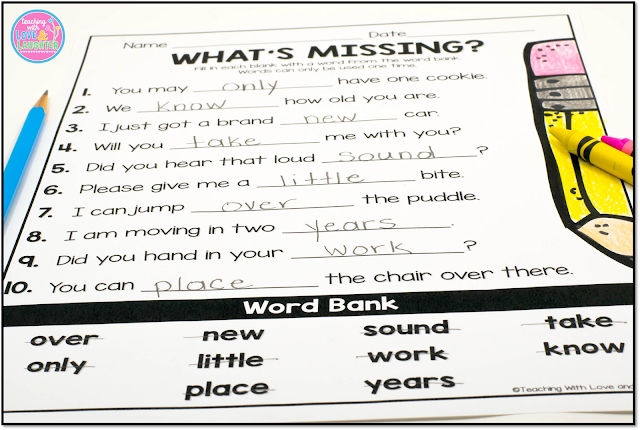 You can give more activities to some students or have some children keep the same list for two weeks. Here are all the activities included in the Fry Word and Dolch Word Packets. 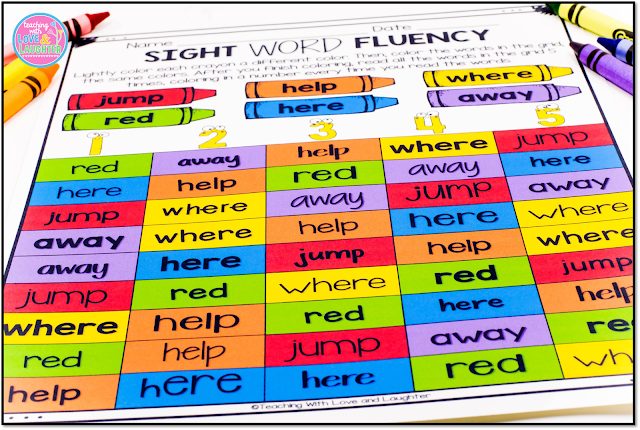 The Fry Word Packets all contain 10 words in each list. The Dolch Word Packets have 6-8 words in each list. 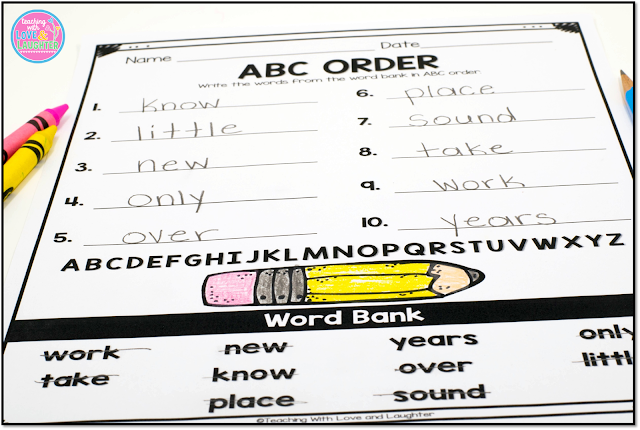 Lists 1-10 contain 6 words and Lists 11-20 contain 8 words. 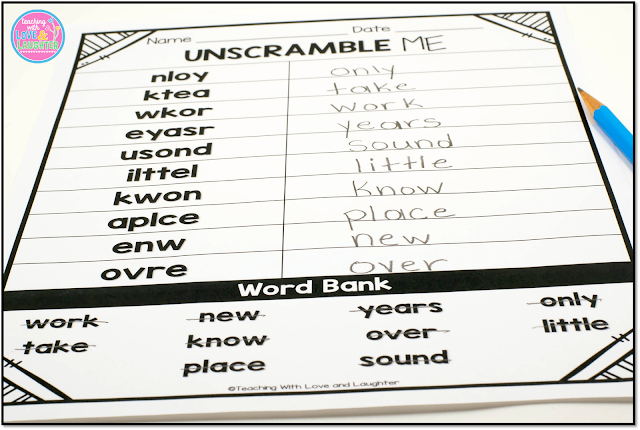 There are a total of 20 packets in the Dolch Word Edition and they consist of the Pre-Primer, Primer, and First Grade Words, as well as, 11 words from the Second Grade List. As you can see, the activities are definitely fun and engaging and all the repetition will surely help your young learners read and write their sight words. And, children LOVE to make books! These books can be kept in their book boxes once they are completed, to be read over and over again. You can find these sight word packets in my store by clicking on the images below. In case you haven't heard yet, Oriental Trading now has a helpful wish list feature. 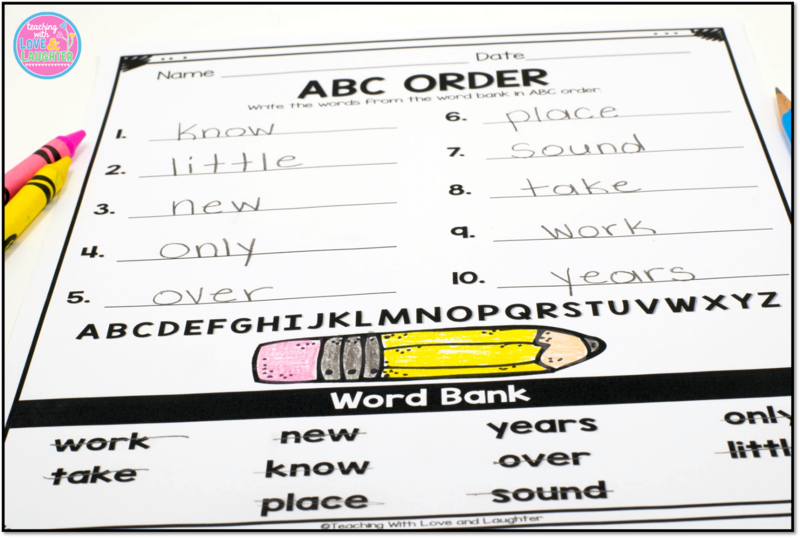 Teachers are notorious for making wish lists and now you can make one while browsing one of your favorite go to sites for party supplies, arts and crafts, school supplies, toys, and novelties. I've been an avid Oriental Trading shopper for as long as I can remember, so I was very excited when they invited me to create a wish list, and told me they would send me a few items from my wish list to review. 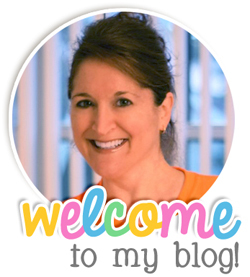 They have quite an extensive line of teacher supplies and resources. I've been a BIG collector of #allthebins ever since I became a teacher. I especially love bright colors. Once I saw their neon storage bins with lids, I knew I had to have them. They come six in a pack and I grabbed two packs. They are the perfect size for books, markers, crayons, glue sticks, etc. And they are nice and sturdy. I also grabbed some storage cups. Once again, I was drawn to the bright colors. 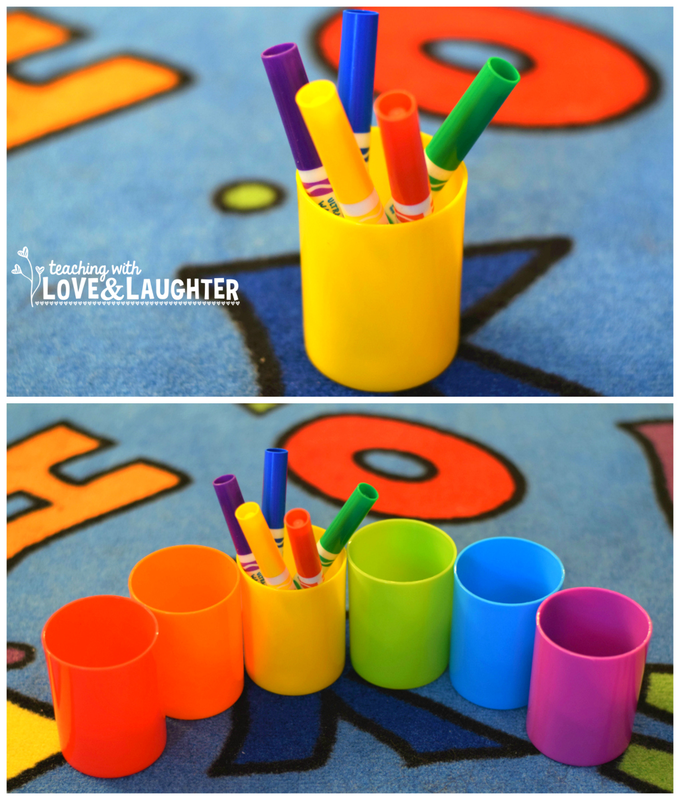 There are a dozen cups in a pack and they are great for storing markers, pencils, scissors, crayons, glue sticks, etc. 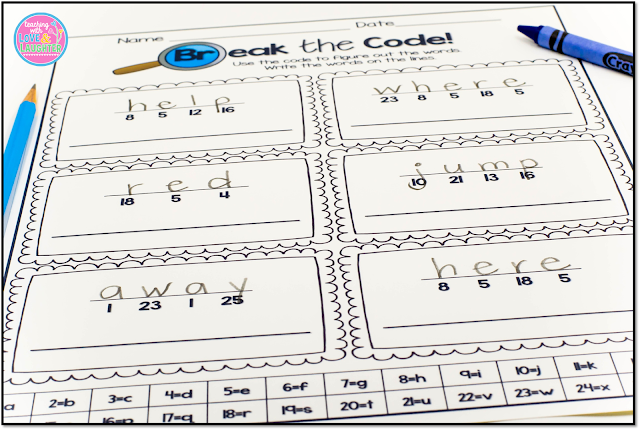 You can also use them to practice math concepts, like sorting and counting. They are very versatile, indeed! 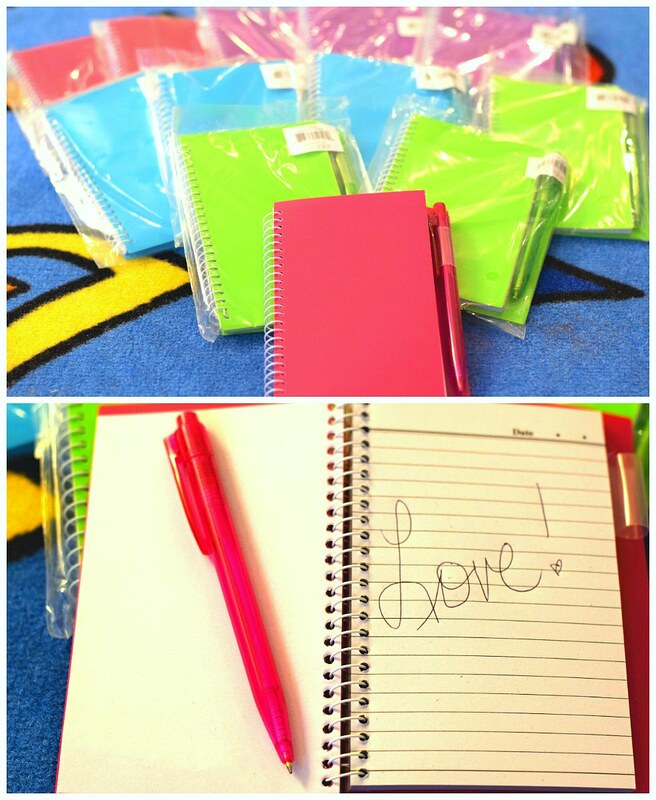 The last thing I asked for, were these neon spiral notebook and pen sets. There are a dozen in the pack and they are the perfect size. They are great to give out as gifts to children and adults. And, they are a wonderful addition to a writing station. Children love to write notes on pretty pads of paper! Once you make your Oriental Trading wish list, you can share it with others, just like I did today. 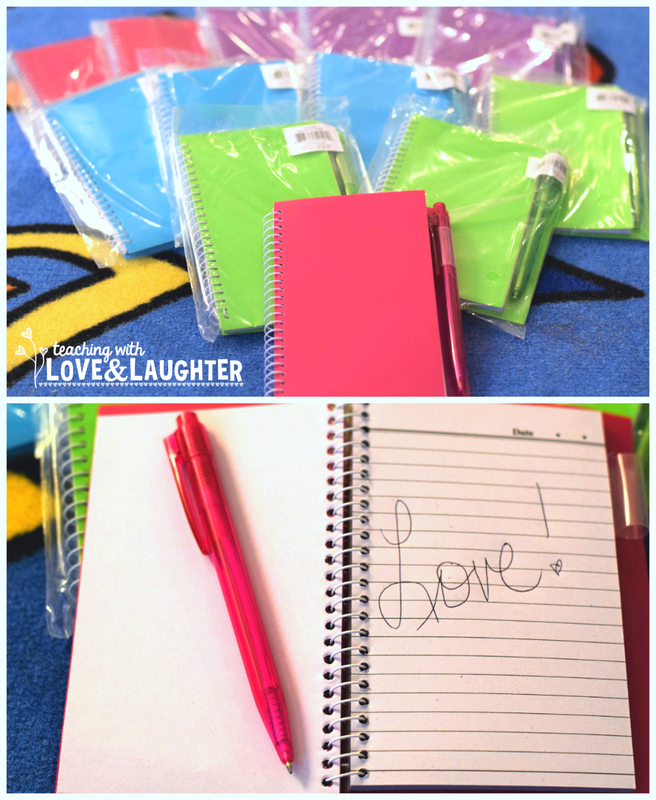 When a parent asks you what you need for your classroom, just share the link to your wish list. Share it on your classroom website, if you have one. 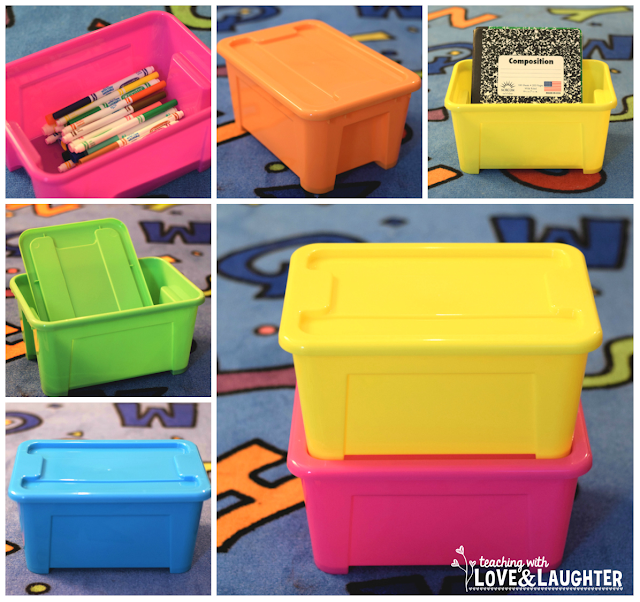 What an easy way to get some of the supplies you need to run a successful classroom! Looking for a deal at Oriental Trading? Visit their coupon page for the latest in sales! Do you use a clip chart to manage your classroom behavior? I have used one for many years, with great success. I find that my students respond very well to the clip chart and always look forward to gem day and retiring their clips. You can read all about gem day here! 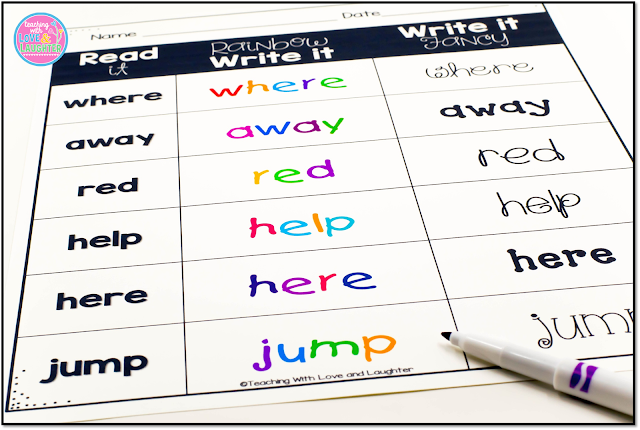 I use clip chart calendars each month so the children can document their behavior each day. The calendars make it super easy for the parents to monitor their behavior, as well. At the end of every month, the children like to count up how many of each color they earned. 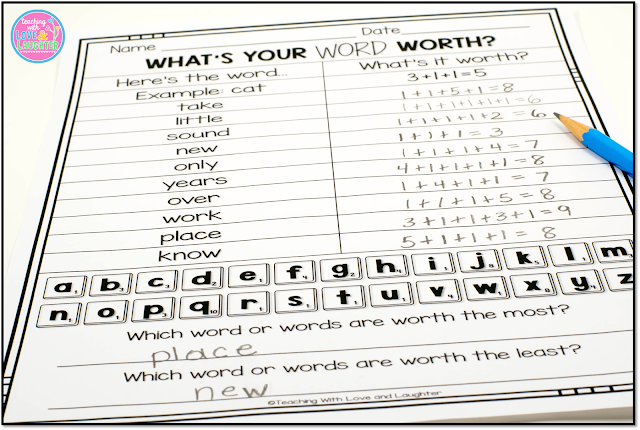 Recently, someone suggested to me that it would be great for the children to be able to analyze the data on their clip chart and use it for discussion, reflection and setting goals. I totally agreed! I really love the idea of taking it one step further. 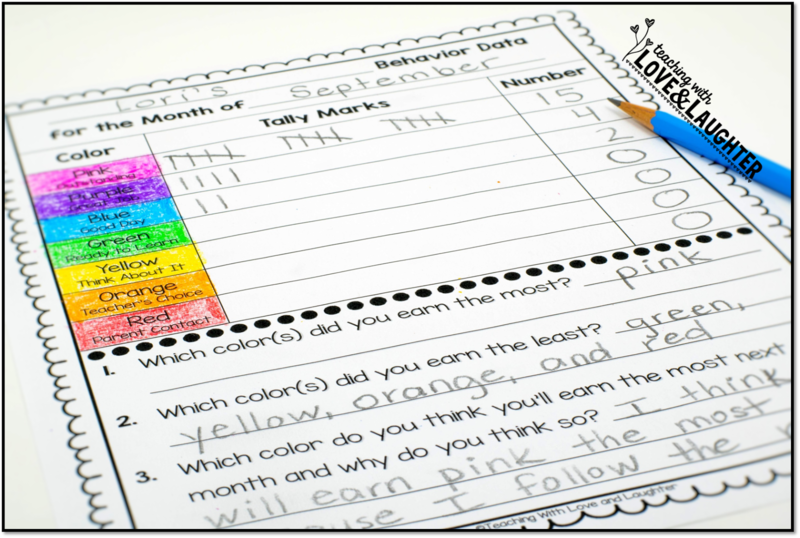 I created clip chart behavior calendar data sheets so students can keep track of their behavior each month. 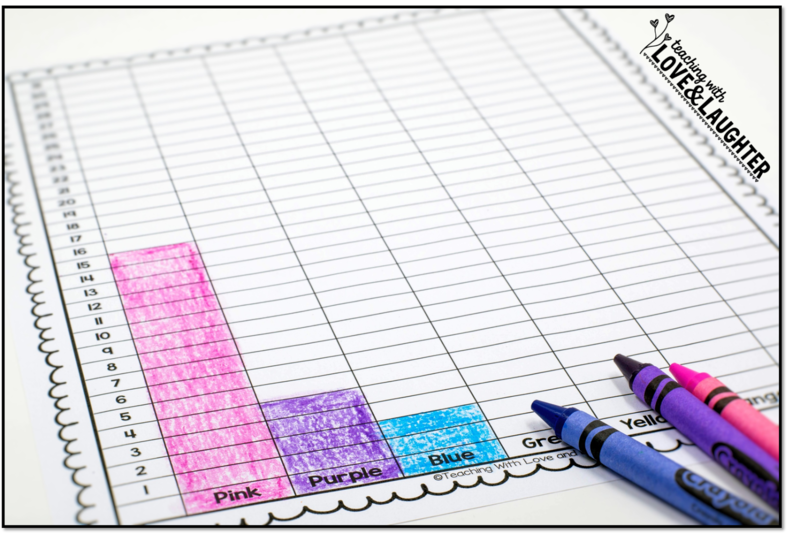 Utilizing this bar graph is a great way to integrate math and classroom management. Students count up the colors they earned and color in the bar graph. For some, you can stop here. 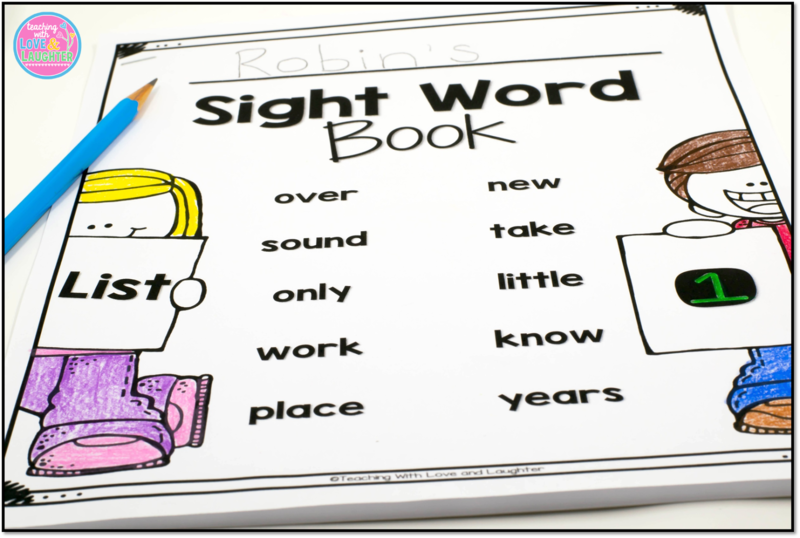 The children can easily see what color they earned the most and the least and can talk about it with you and their parents. With this data, you can set goals for the next month. In addition to the bar graph, I created six different response sheets for you to choose from. The children count up the colors they've earned and represent them with tallies and numbers. 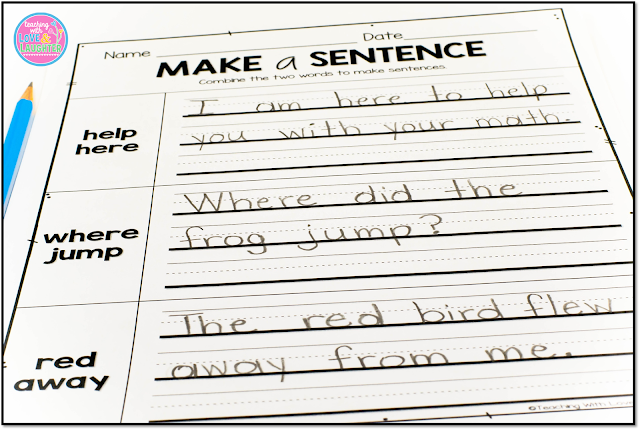 Most of the sheets have reflection questions, as well. This one asks them to predict how they will do next month. I suggest sending these data sheets home to be looked at and signed, and then returned to you, so the children can compare their behavior each month. 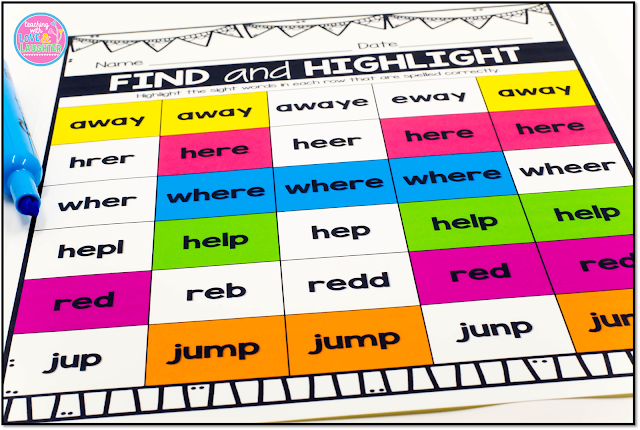 I know that not everyone uses the same colors or sayings on their clip chart, so an editable version is also included. If you are interested in having your students use these behavior data sheets, you can purchase them separately by clicking here or on the image below. I know some teachers prefer calendars with weekends and some prefer no weekends. 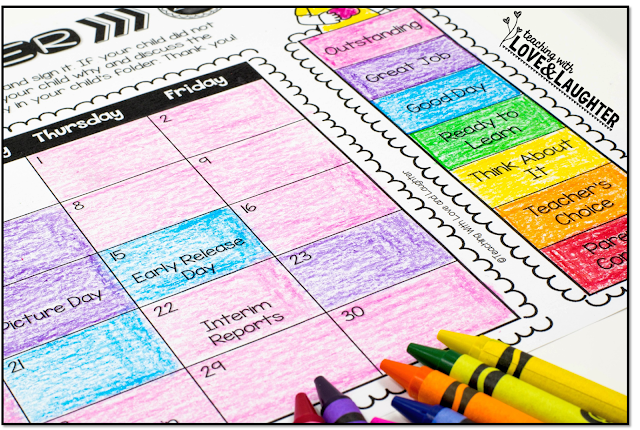 I know some teachers prefer calendars that are in landscape orientation and some prefer horizontal orientation. Don't worry! I've got you covered! Click the image below to see calendars with no weekends in landscape. Click the image below to see calendars with weekends in landscape. Click the image below to see calendars with no weekends in portrait. And, click the image below to see calendars with weekends in portrait.